The 1800’s saw a fairly large migration of Welsh farmers to Patagonia and they mostly settled on the Eastern side of the country. This must have been a shock as the landscape here is pretty barren and looks very hard to farm. At first glance the town of Gaiman didn’t look up to much but we dropped of the truck at the campground run by the volunteer firemen and went to explore the town. Unlike many of the other Welsh settlements in the vicinity you get a real sense that the Welsh culture is still very much alive in Gaiman. 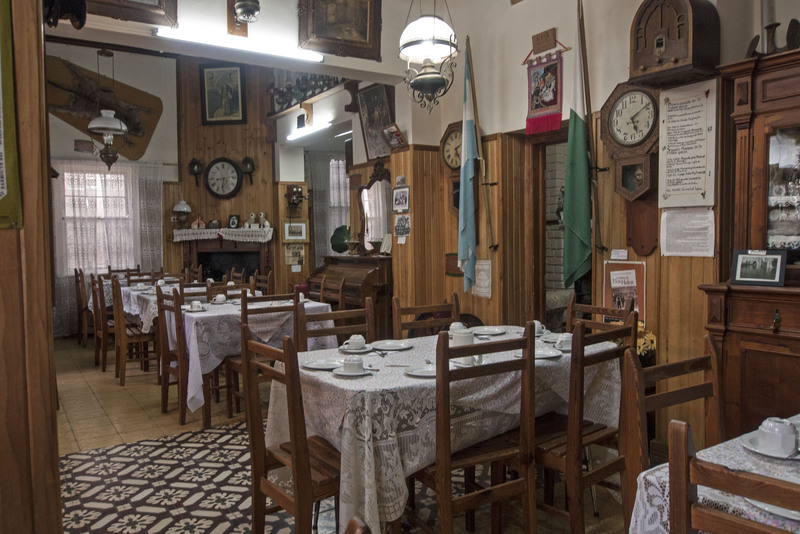 On our short exploration of the town we found several Welsh tea houses, including one very traditional tea house full of old memorabilia, much to Sarah’s delight. 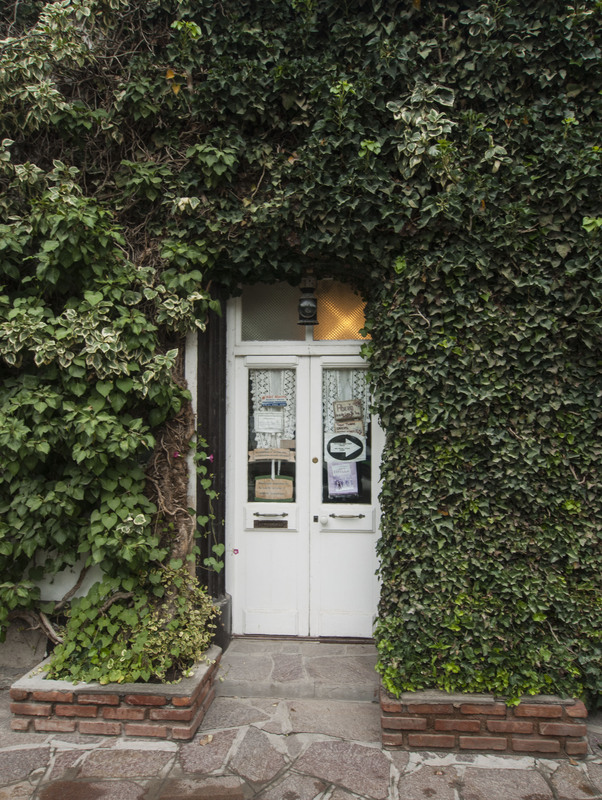 This was called Ty Nain (Grandma’s House) and we had to ring the doorbell to be admitted. The old woman who greeted us was excited to discover that Sarah is Welsh and immediately started speaking in very rapid Welsh. This was a bit much for Sarah’s school learnt welsh which is now very rusty but she did manage to remember a few pleasantries. 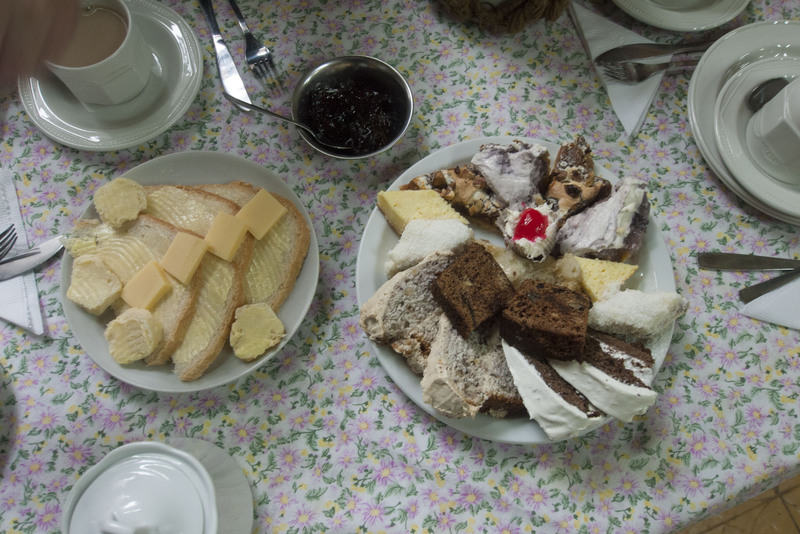 We sat down for a full welsh tea which involved some weak tea served in what felt like an antique teapot and a massive plate of homemade cakes and bread and butter. I wouldn’t know but have it on good authority that the cakes were authentically Welsh as in Sarah’s words, “it’s as if she had the same recipe book as my Nan”. Having gone to great lengths to time our visit to Gaiman with St. David’s Day (at Sarah’s insistence), we discovered disappointingly that this is not a celebration for the Argentinian Welsh, at least not in Gaiman! 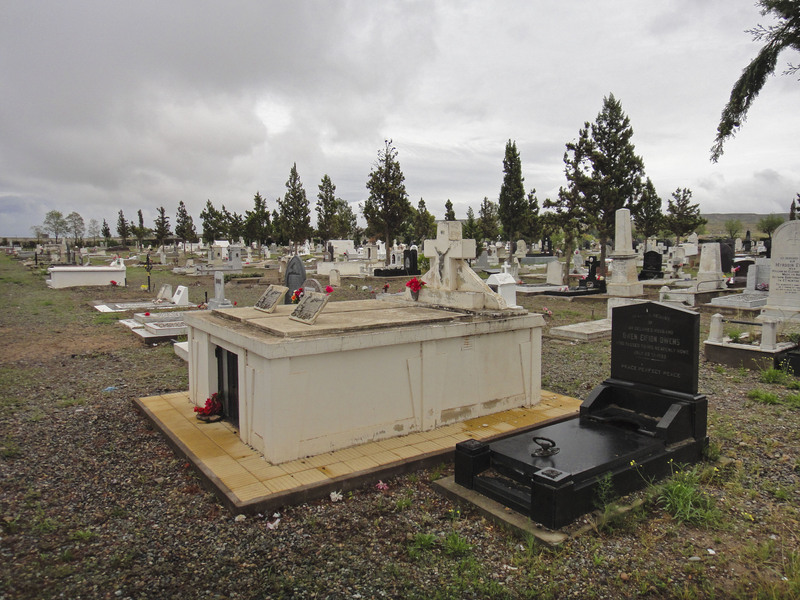 On our way out of town we stopped off at the local cemetary. 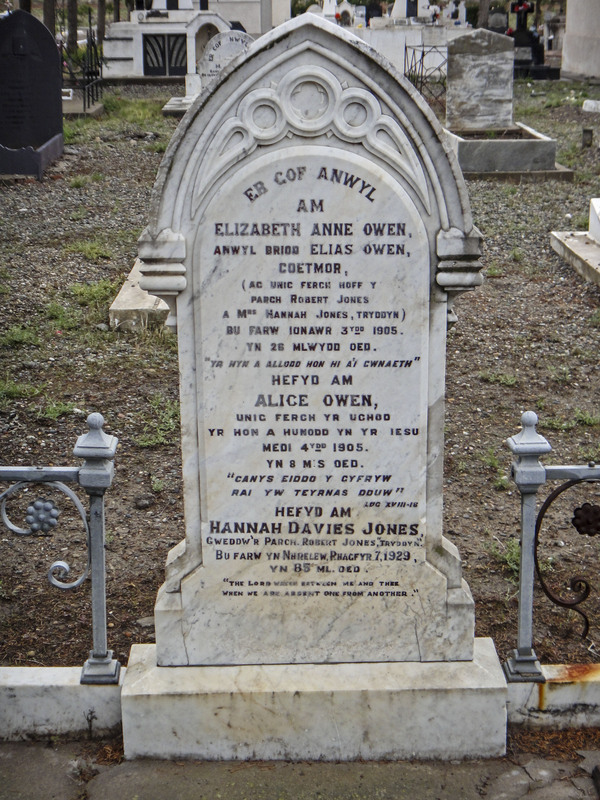 This was fascinating with some of the most welsh names you could imagine on the graves stretching back into the 1800’s. There were even 2 William Williams’. 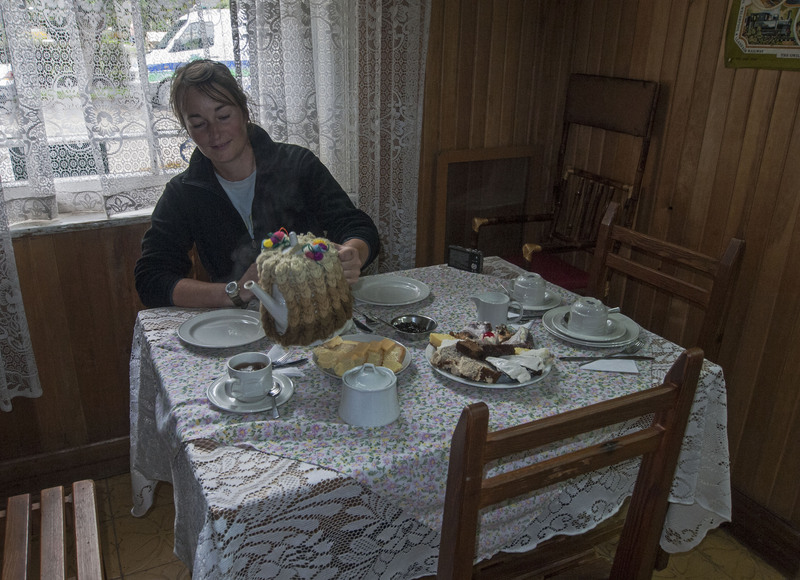 we can’t wait for tea and cakes – only 25000kms to go! At the rate you guys are going it’ll be another couple of years, at least !